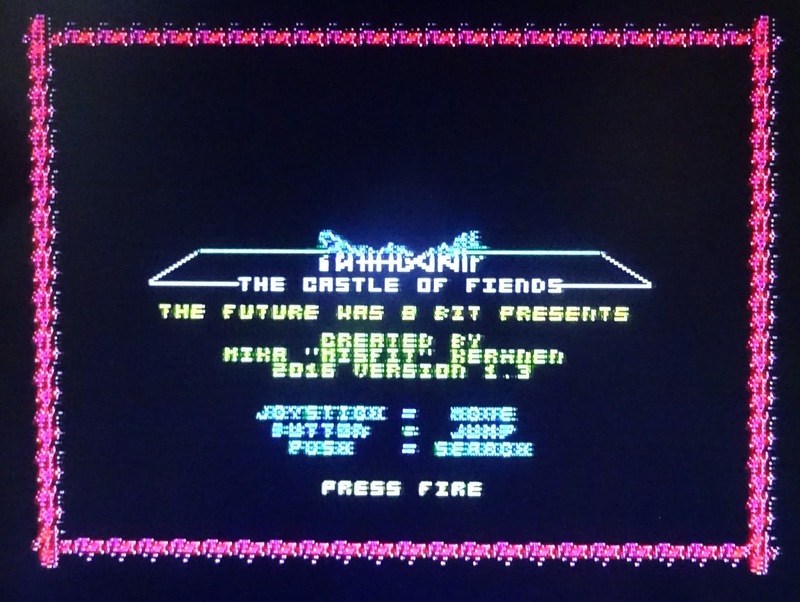 The Penultimate Cartridge was launched last year, and between the initial units I sold and all the production units that have been sold by The Future Was 8 Bit, there are quite a lot of them out there. 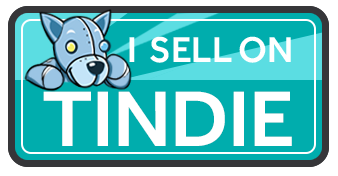 I'm pleased to say that with all those units that have been sold there have been no returns. We almost had one, here's the story. 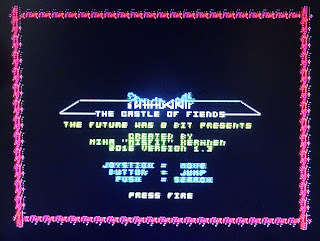 A user had just bought a Penultimate Cartridge and reported it was behaving oddly. The menu was appearing, and games could be loaded, the problem came with the RAM, anything over 8K was failing. This is odd, as the design has been proved to be reliable, and all the units are tested before and after being installed in their cases, so we wouldn't expect any failures. The user had done a bit of testing, and was happy to do a few more tests to try to identify the problems. 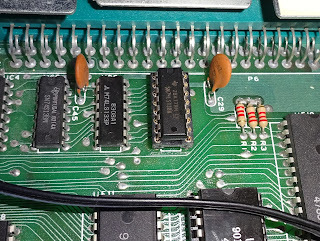 The user had already cleaned the edge connectors, and they looked fine, which seems to rule out option 2, so the cartridge was return to TFW8B for testing. When received, it tested fine, so that rules out 1. The only candidate remaining was a fault in the VIC20. The user wasn't too far from me, so dropped his VIC20 off for further testing. 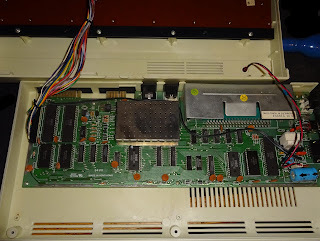 All looks well inside, nice clean VIC20 CR. This later version of the VIC20 was fairly reliable, it is usually the kernal ROM or VIC chip which goes, coincidentally, the only factory socketed chips on the board. 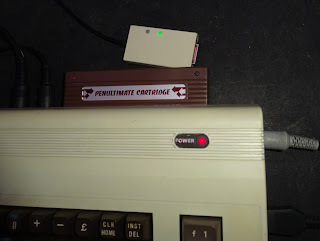 I tried it out using my prototype Penultimate Cartridge, the LEDs on here show the mode and ROM image selected, and these were showing the right thing, so the cartridge was operating as it should, but was still failing memory tests. 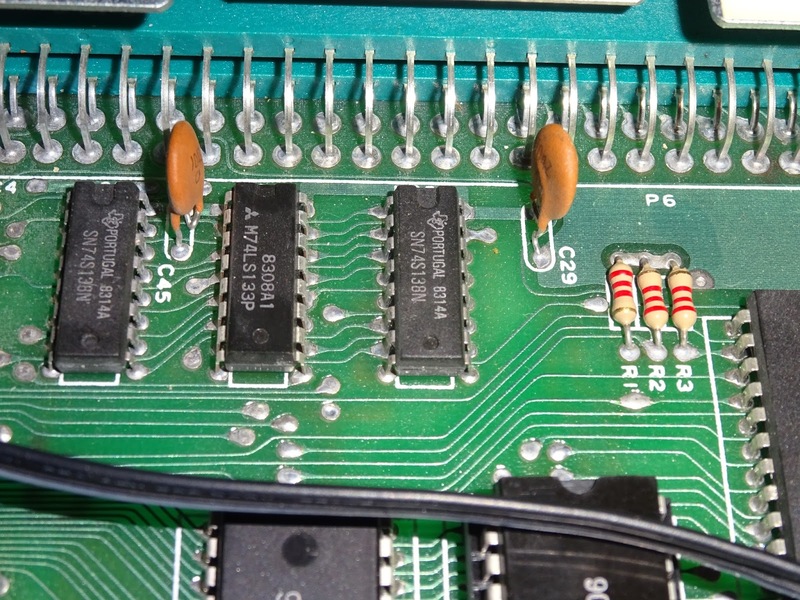 Inside the VIC20, there is a 74LS138 chip which generates eight signals, one for each block of memory, each of which is normally high and is pulled low when that block is selected. 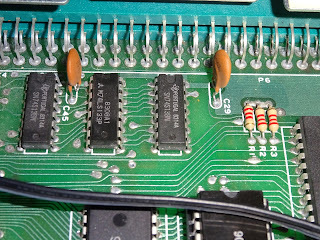 Looking along the pins on the oscilloscope, all the pins were high as expected, with blocks 0, 4, 6 and 7 being used in normal operations, and blocks 5 and 3 also pulsing low when the Penultimate Cartridge menu was being used. Block 1 was high as normal. Block 2 was floating low all of the time. Bingo. There's ya problem. 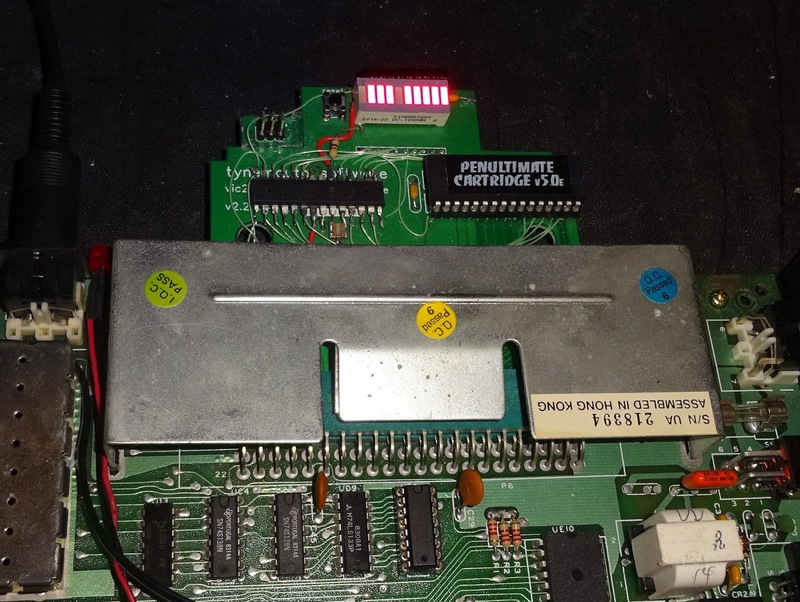 I swapped that chip out and retested and everything now ran fine. Block 1,2 and 3 could be filled with RAM and that all passed memory tests. When that line was floating low, as soon as any ROM or RAM was connected to that pin, it would be enabled all the time, not just when the block was accessed, so would have caused errors throughout the address range, explaining the strange behaviour. 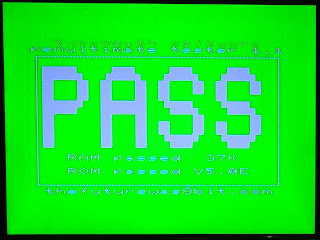 I've run through the Penultimate Cartridge tester a few times, and it has passed. 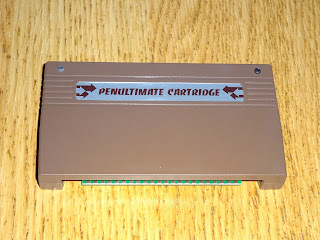 I retested with a different Penultimate Cartridge and several original Cartridges, and finally had the users original Penultimate Cartridge sent up here from TFW8B. 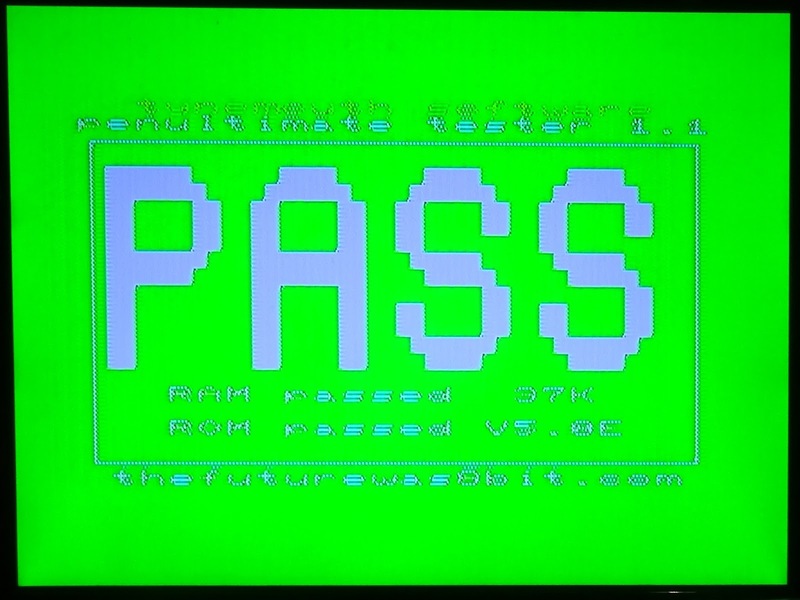 That again passed all the tests. I also tried some large games loaded from SD2IEC, like Pentagorat which needs 32K of RAM and Doom which needs 35K. All done and ready to return to the user with his original Penultimate Cartridge. 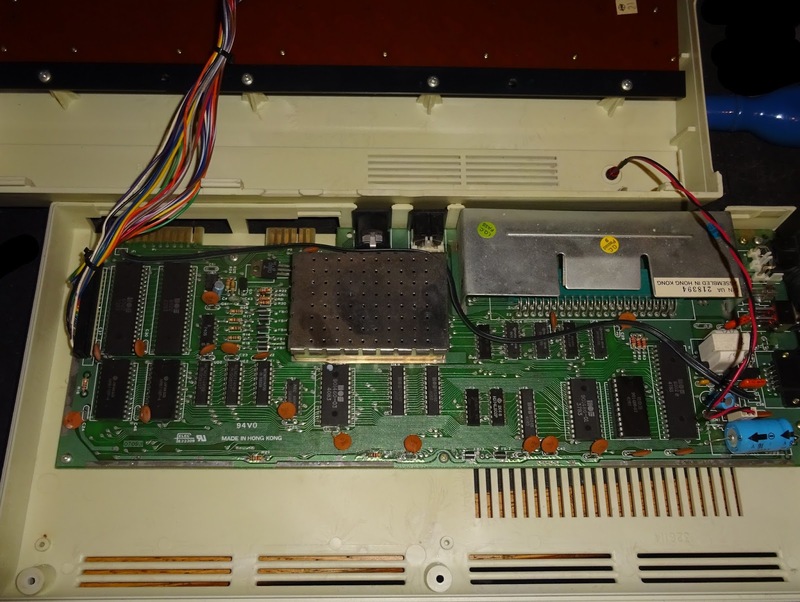 That VIC20 might have been like that since new, never a problem until something larger than 8K was added to the cartridge port. I've checked and unfortunately, the warranty from Commodore has run out. 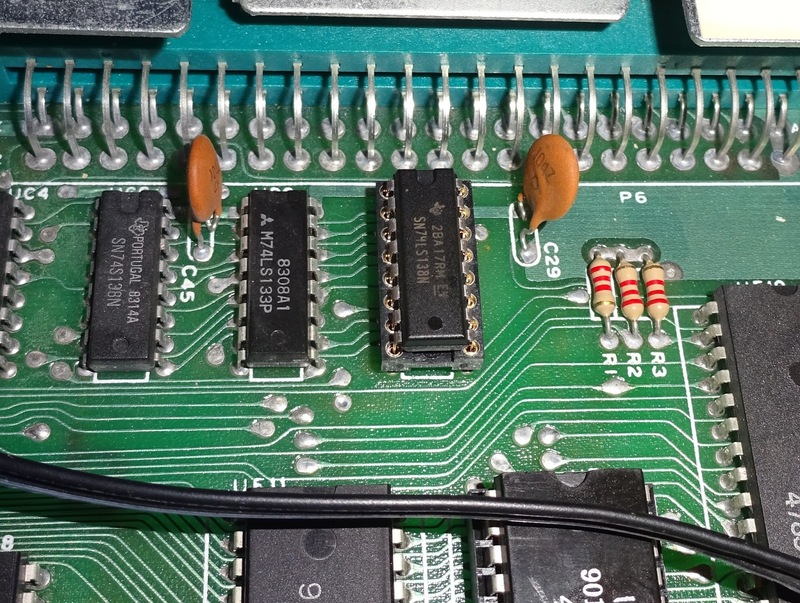 Do you have a VIC20 that needs a repair? 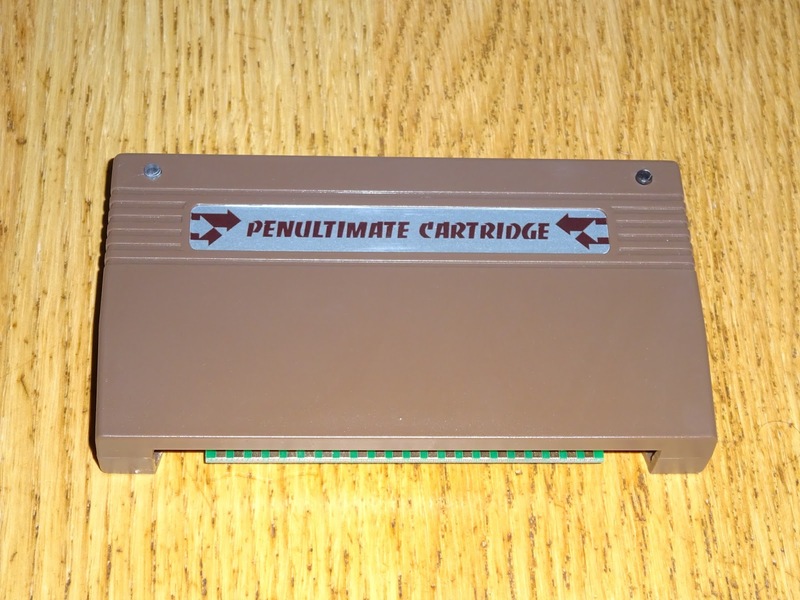 Do you want to buy a Penultimate Cartridge? 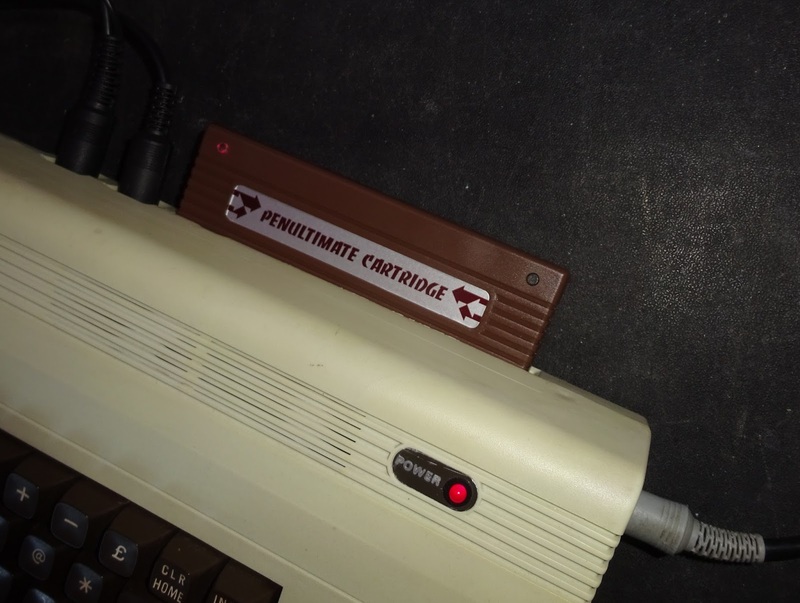 Do you want a special deal on a Penultimate Cartridge and a limited edition SD2IEC?